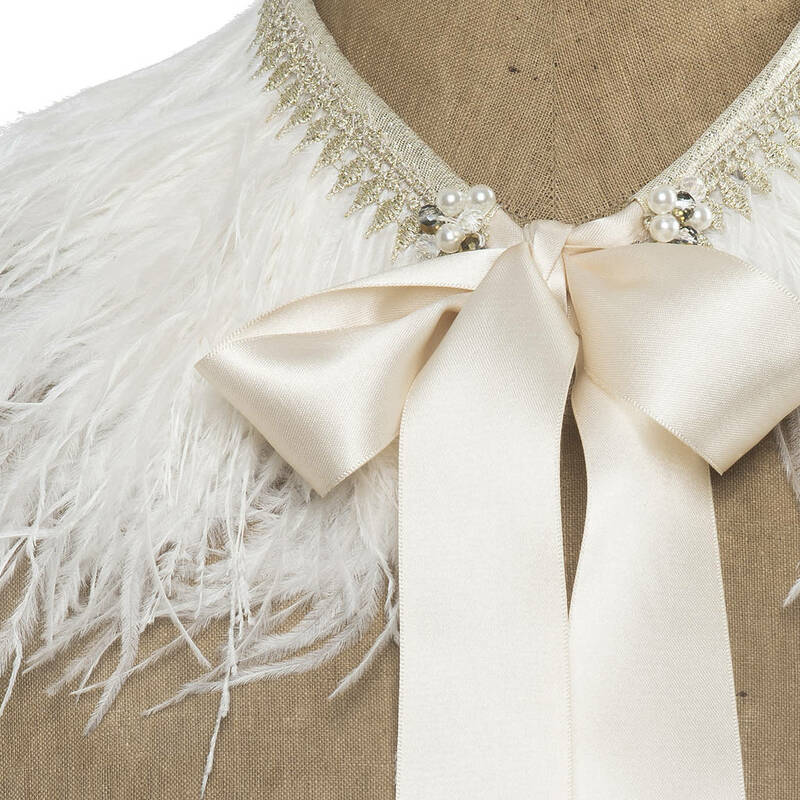 Luxurious 4ply ostrich feather tippet in deep ivory trimmed with vintage gold lace. 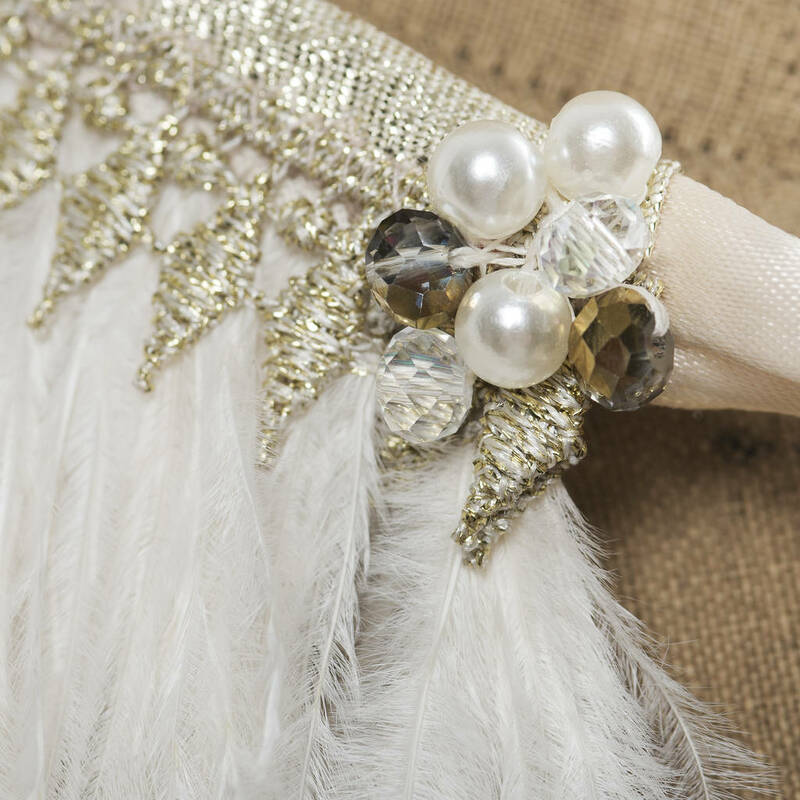 Ties with an ivory satin ribbon, finished with crystal beads. 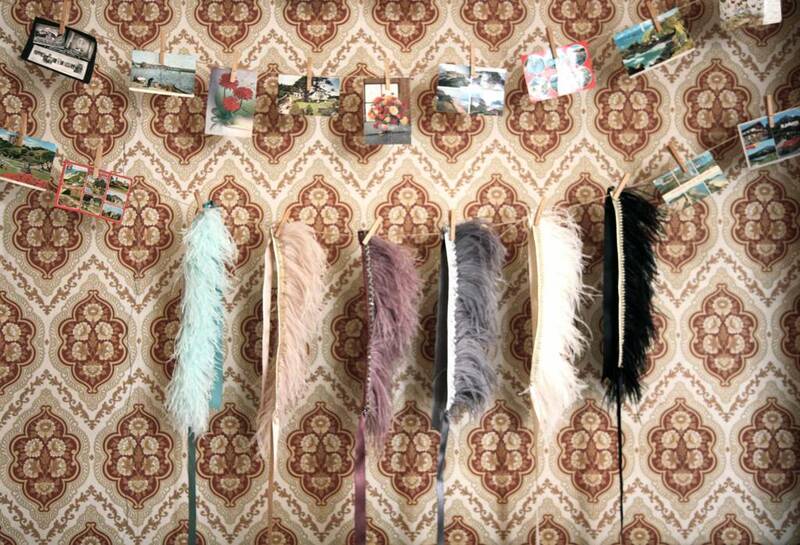 Ostrich feather and mixed synthetics. 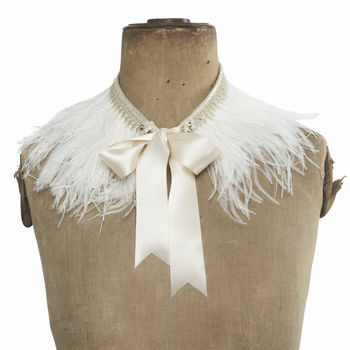 length of collar 40cms, ribbon 50cms, length of feathers approx 16cms. 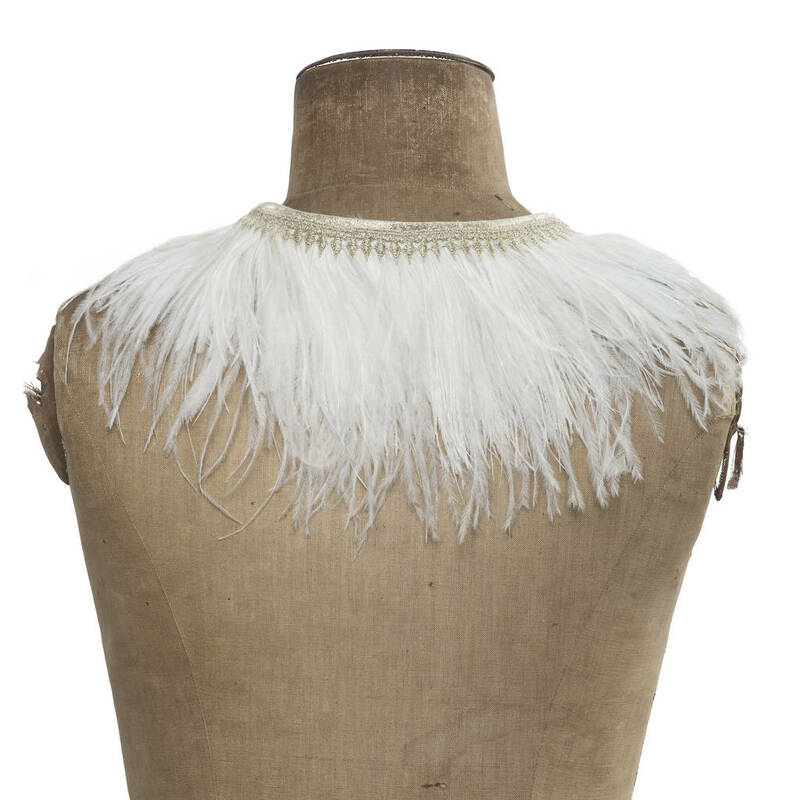 This product is dispatched to you by Loola & Goo.